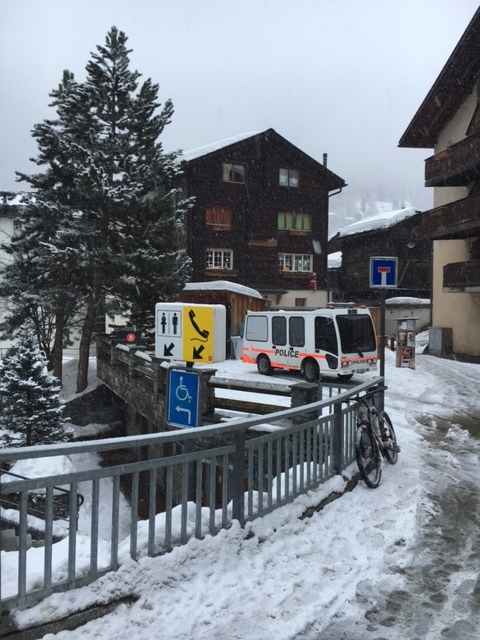 I am not sure if Harvard Business School has visited them yet, but there are two brothers that have a restaurant on the side of a random ski slope in Zermatt. 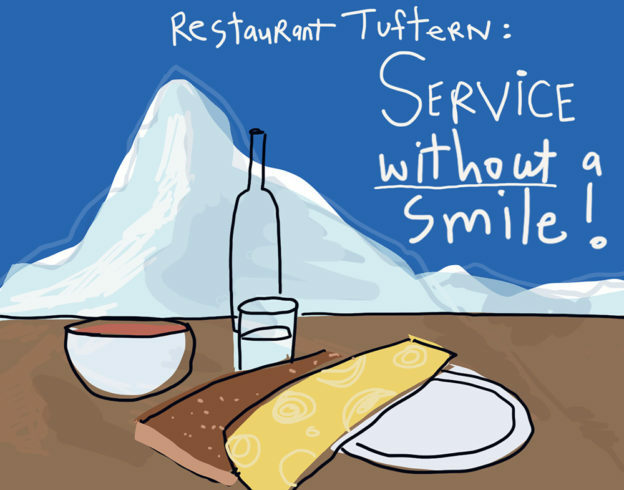 Restaurant Tufternalp has been there for years. They serve only minestrone soup and slabs of Swiss mountain cheese that the owner slices with a cheese knife that has specific measurements for slicing so as not to give too much or too little. In addition they serve small sausages of local mountain animals if you choose. The owner also has a rotary hand-cranked bread machine that slices bread into perfect slices. That’s it, that’s the deal. Nothing more. The business economics of this kitchen are remarkable. No waste, no excess that can’t be sold the next day, and no adventurism that could affect the profit and loss. Just simple. But then there is the service. It’s basic- they don’t really care, they are just there and you are there. It’s simple fare. Take it or get back on your skis. There is no, “Hi, how’s everything? Can I help you?” Not even a moment of thanks. No smile or welcome. It’s almost his signature. You go there because there are no surprises. It’s cheese and sausage and soup. He will be gruff and miserable. I work with my brother. I don’t know you. Even though you visit here every year. Take it or leave it. I think the guy, the miserable one, secretly drives a Ferrari and wears Armani suits and helicopters into the restaurant each morning just to go through his shtick. Maybe he is a comedian at night. I am not sure how it works on a spiritual level but he makes money, he has no extra costs and he sure doesn’t care if you like him or not. Catch him at the slopes at Tuftern. And say I sent you. He really doesn’t care!! Today was so cold and the temperature at the top of mountain minus 40 Celsius. 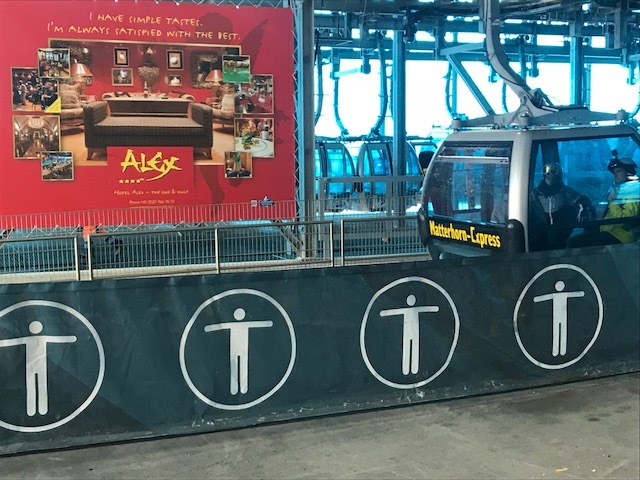 The cable car stalled every five minutes because of the temperatures. But…the sun was out and with seven layers and a balaclava I was ready. 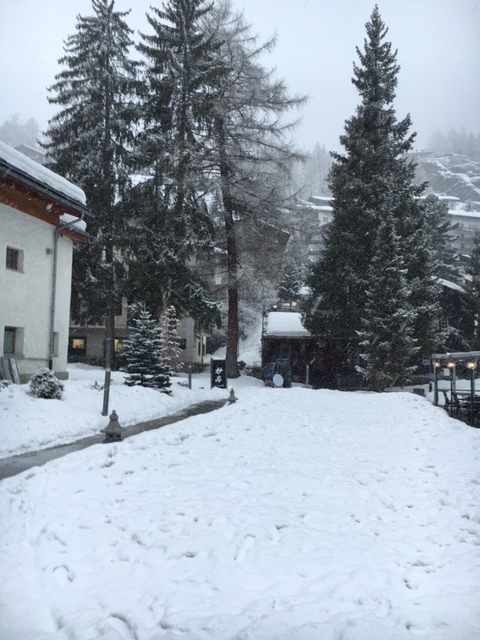 We were going to ski Italy today. The amazing thing about Zermatt is that you get two countries, two huge mountains and therefore two cuisines. Two cultures and frankly extreme cultural differences. On the Swiss side, all the lunch places are privately owned. On the Italian side, it’s local government concessions. Even the toilets are terrible on the Italian side because they don’t care to spend the money. They just lease the premises every three years. But, hey, it’s la dolce vita so who can knock that?! It’s rosti versus polenta. Let the games begin. At nearly 13,000 feet, the Klein Matterhorn is the highest ski station in the Alps. It’s breathtaking. From there we took the one hour ski journey to Valtournenche, a town and commune in the Aosta Valley region of northwestern Italy. What a ride – 16 kilometers of winding ski terrain. It’s something everyone should try once in their life. 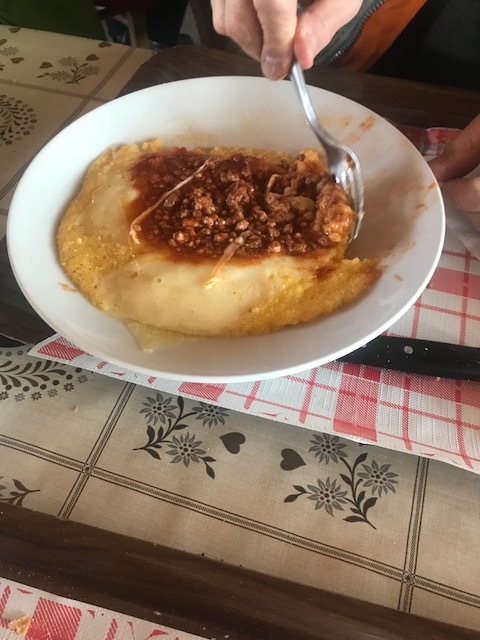 Lunch at the top of course would be polenta. The sun stayed on us all day and it was glorious. 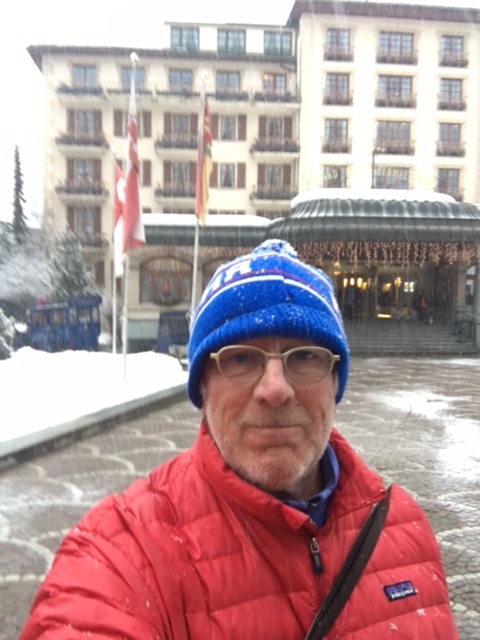 I had never felt the need to return to Bern, Switzerland’s capital, after I had visited it about 35 years ago. I do not recall much other than their famed Bear Pit, also known as The Bärengraben. Beyond that it was a place between somewhere you had come from to somewhere you wanted to get to. It was a stop for lunch or a break on a monotonous journey along motorways. One things for sure, it wasn’t Rome. However, recently a friend of mine had the bright idea to revisit the place and stop at the Paul Klee Museum. It’s well worth the stop if you happened to be on that road. It’s an odd architectural piece stuck along the side of a motorway and in the middle of a suburban sprawl. Not ideal and not easy to access. It’s a wave-like structure half buried in the ground. It looks like an old air raid shelter my parents had in their back garden during the war. The building’s architect, Renzo Piano, wanted to build something extraordinary that would be in harmony with the artistic movement that it represented – surrealism at the turn of the century. 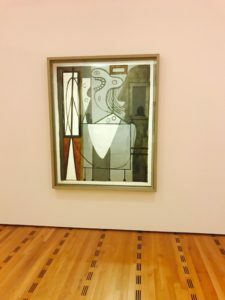 There are 4,000 Klee paintings in the museum amply padded with a Picasso here, a Joan Miro, or Dali there. In all, it truthfully is not much my cup of tea, although I liked the black and white photo depiction of the history of the artists and the period. 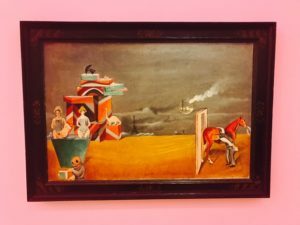 There is also a children’s section where budding young artists are free to connect the dots between aspiration and reality. The cafe was a great place to grab lunch and surprisingly for Switzerland it was relatively a good deal. It’s worth the stop if you like this sort of thing. If surrealism is not your thing, it’s not such a bad place to pass a few hours in between where you have come from and where you are going. 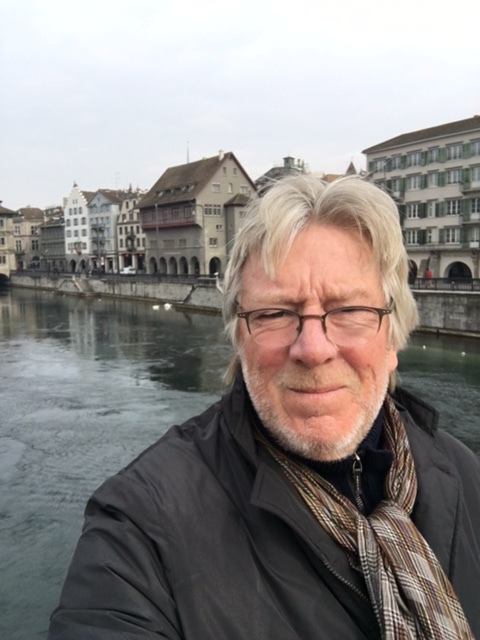 This entry was posted in Blog, Travel and tagged Bern, Switzerland on April 26, 2017 by Peter Jones. I had never been to Zurich before and probably will never go back. Last year I was in Lausanne and promised myself never to return! 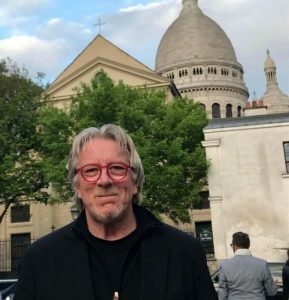 I added it to my list of boring places – Deauville, Trouville, Biarritz. 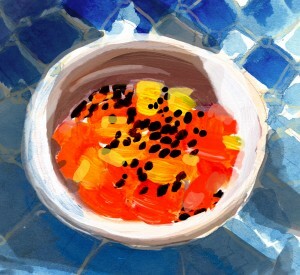 Places that I was curious about but couldn’t muster up enough energy or desire to return. Cross them off the list and add them to Cyprus and a few other places that I have been inquisitive about and will not go back to. But Zurich…I am torn. 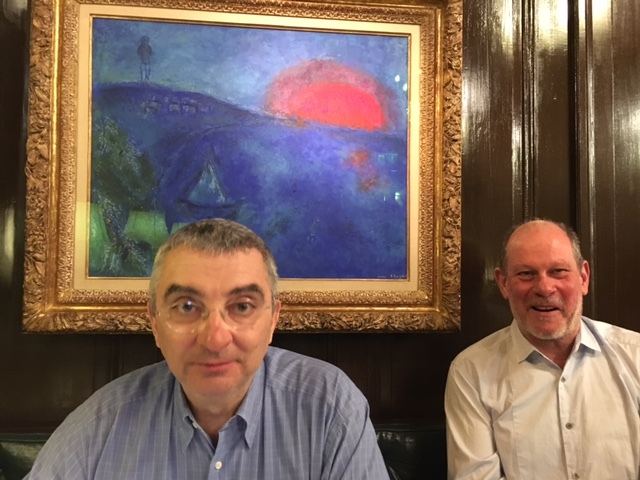 This year we descended upon Zurich because I had heard some great things about it. A good nightlife, diverse restaurants, and an overall beautiful city. We stayed in the Stork Hotel. A fabulous location in a great part of town. Café stools outside overlooking the river made it utterly charming and even with cold weather, they provided blankets! I loved this hotel. 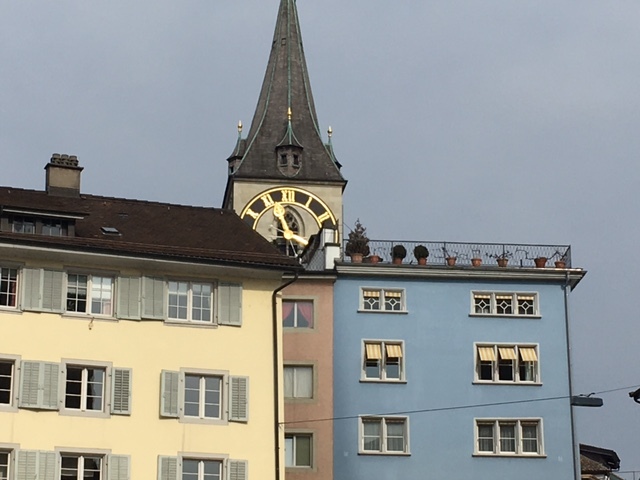 A pure Swiss scene with beautiful houses over the Limmat River, three towering clock towers, and an extraordinary museum, the Kunsthaus Zürich, packed chock-a-block with masterpieces through the ages. 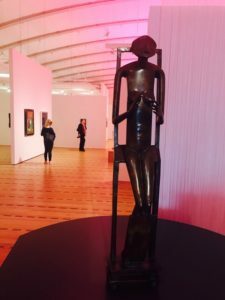 There was a lot of Giacometti, in fact the whole family of Giacometis, a fair amount of Chagall, and a splash of Picasso and other xtraordinary artists. It had the lot. It was slightly overwhelming! There were the two principal churches in Zurich with their stained glass windows rendered more spectacular by the artists whose paintings I had just seen in the museum. The walks were pleasant, the streets and squares were made with lots of cobblestones, all extraordinarily clean. Everything spilled onto the lovely river, even the Bahnhof with its underbelly filled with shops and eateries was decidedly clean and accesible. And of course there were swans. Lots of them. This is a city with enough to do if you plan two or three days max. On the restaurant scene, there are expensive places that have an iconic history in Zurich folklore like the Kronenhalle. The food there is pure Swiss with rösti, lots of meat, and fabulous desserts. The ambiance is extraordinary. 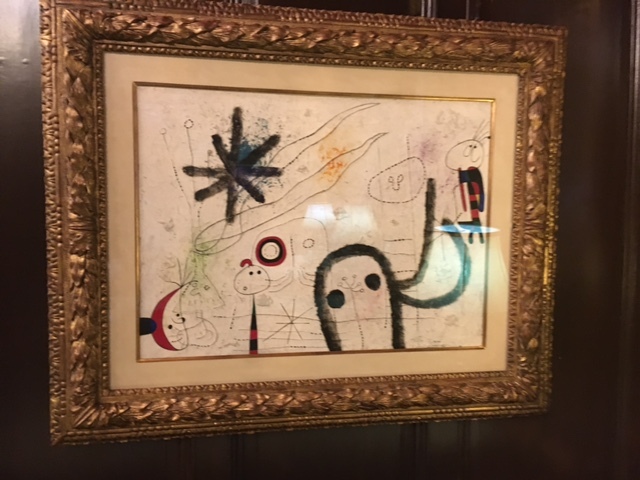 Original artwork is all around – a Chagall here, a Miro there. 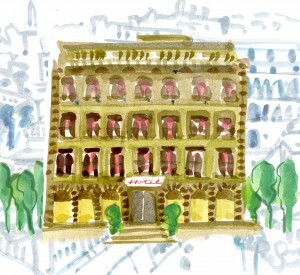 Not far away there is Brasserie Lipp, one of Paris’ most reputable brasserie’s transplanted into the heart of Zurich. There are less expensive options and of course a few pubs where you can grab a beer, a burger, and watch a soccer game. The nightlife was a bit thin and daytime was a little quiet. Everything was very orderly and very Swiss. The tram system was incredibly efficient and very clean. 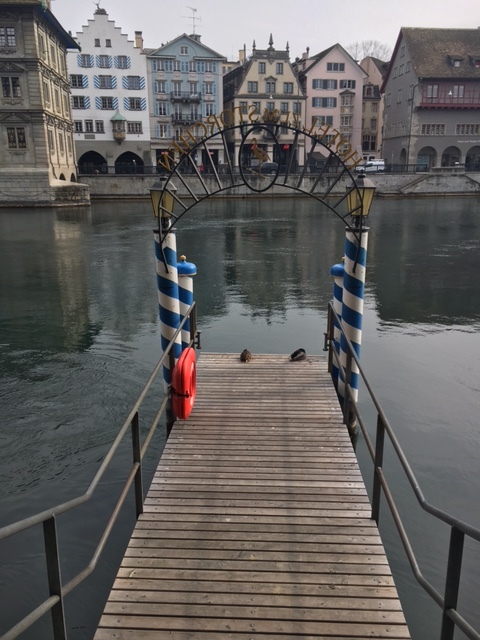 As I walked along the narrow alleyways by the river and crossed one of the smaller bridges to get to the Church of the Grossmünster, I thought of how civilized this place is. Probably a nice place to bring the kids up. It’s a bit like Vancouver. But I really do not think I could live here! 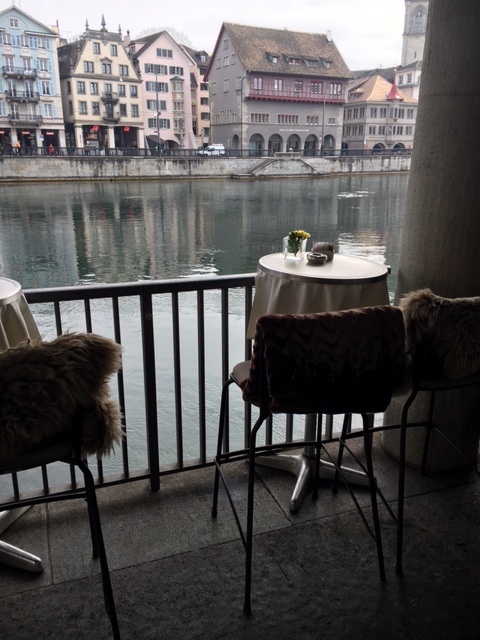 This entry was posted in Blog, My Favorite Places to Eat, My Favorite Places to Stay and tagged dining, Europe, Hotels, Peter Jones, Pietro Place, Restaurants, Switzerland, Travel, Travel Blog, Zurich on March 22, 2016 by Meghan Pope. The journey from Zermatt to Lauterbrunnen, up Jungfrau, was a feast of Swiss mountains, green pastures, and alpine chalets. 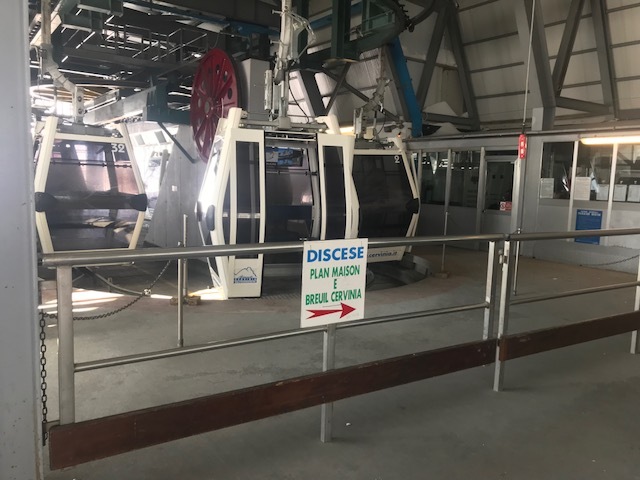 The descent on the cog railway from Zermatt to Täsch was on the Glacier Express. It was the first part of a journey that would take us around three and a half hours. Our final destination was Zurich and in between we would climb the Jungfrau, stop in Wengen, and pass the magical town of Lucerne. All of this within one day! We were driving and so we had to figure out a way to successfully get from Tasch to Lauterbrunnen efficiently. The new Lötschberg Basistunnel is the answer. It is 36 km long. The train goes through the mountain with your car! It is a fairly easy process. You queue up, buy the ticket, and drive your car onto a long metal ramp of open carriages. Put the brake on, turn your engine off, sit in the car, and watch the world go by as the train takes off. Alps in the background, mountains looming, and then total darkness as you enter the tunnel! 25 minutes later you pop out the other side and you’ve just saved yourself four hours of driving. It’s that simple! Eventually we got close to the town of Interlaken (between the lakes) and parked the car in Lauterbrunnen to catch the train that would take us up to Wengen. The train is a cog train and was full of skiers and tourists alike. 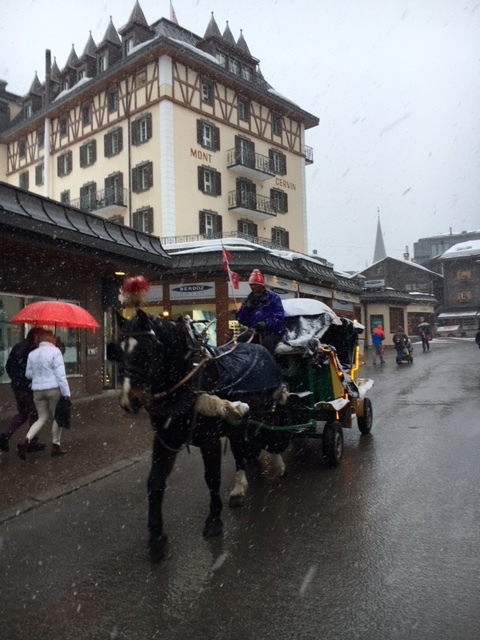 In Wengen, which is the staging post and midpoint, the town bustled with activity. 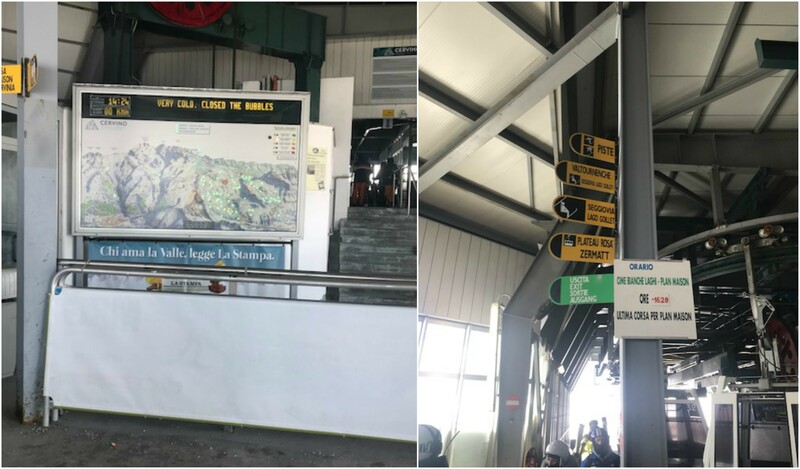 It was full of hotels, cafes, restaurants, and is the beginning point for all of the lifts that will take you onto the ski slopes of the Jungfrau with the Eiger mountain in the background. It looks like it has a decent nightlife and it is flanked by a number of open bowls so the light is good all day. Many of the colors of the houses are yellow ochre and as the sun drops down the colors against the cog railway and the snow is stunning. It is definitely a place you can hang out for a couple of days. We changed trains, hopped on the Jungfrau cog railway, and before you know it we were headed up to the very top of Europe. The train stopped inside of the glacier two or three times so that we could take pictures. By that time we were already well over 10,000 feet! At the Top of Europe, as they call it, we were at 11,782 feet. Time for pictures and taking it easy as the altitude definitely affected your step. I had a dodgy meal in the canteen at the top, experienced the highly civilized toilets and got to walk through the glacier ice village. After we hung out for a while we caught the express train back to Lauterbrunnen. At the top of the Jungfrau you can see the possibilities of skiing over to the open, broad expanse of Grindelwald. 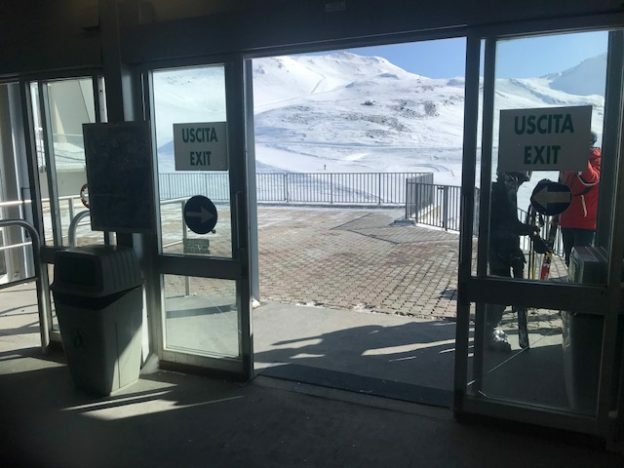 The beauty of this area is that you can buy a pass that takes in the whole mountain….. and the skiing looked pretty good. It may not be as extensive as Zermatt, but it looked awesome to me, especially if you had grown up skiing the ice in Vermont. A coffee at the bottom, a jump in the car, and within two hours we would be in Zurich for dinner. This entry was posted in Blog and tagged Europe, Jungfrau, Peter Jones, Pietro Place, Rail, Switzerland, Train, Travel, Travel Blog, Traveller on March 21, 2016 by Meghan Pope. 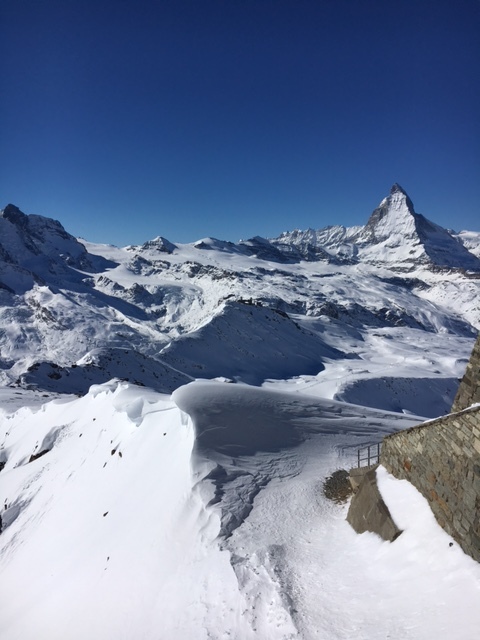 Zermatt, as a holiday destination, is famous for its skiing, summer walks through the open trails long left by skiers–and for extreme climbers it’s the challenging ascent of the iconic Matterhorn. 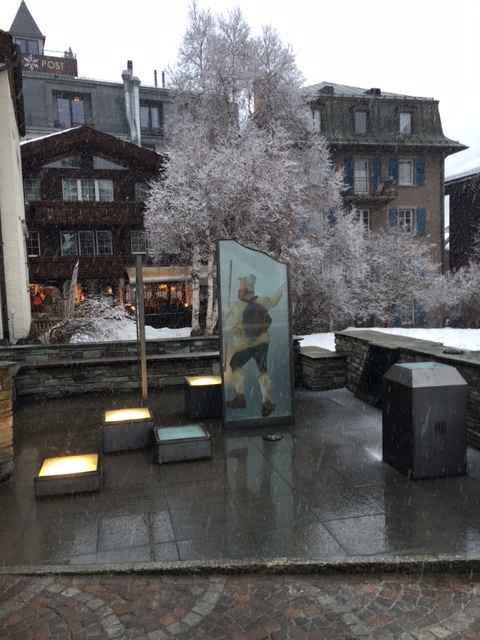 I have been to Zermatt many, many times but I have never actually visited the Matterhorn Museum. Even though I received a frosty reception by walking straight past the cashier’s desk without paying (oops), I was pleasantly surprised by the contents of the museum – but not surprised by the reaction I got from the lady at the desk. She had specially trained in unfriendly customer relations. No smile, only a suspicious smirk as she thought I was trying to skip around her! No credit cards are accepted here; just good ol’ Swiss Francs. It costs 10 Swiss Francs (approx. $10.15). Most days it is open from 11:00 am until 6:00 pm. The museum depicts a mini Zermatt, with recreations of original houses, interiors, and a chapel, and shows how the town started. 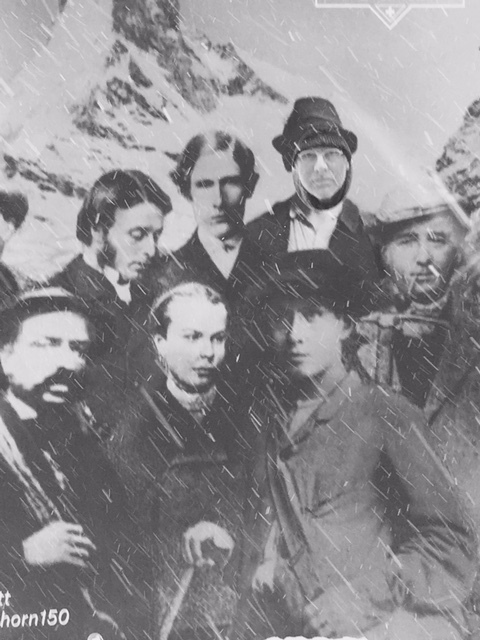 But the biggest focus of all is on the drama of the first ascent of the Matterhorn on the 14th of July in 1865. This was the story of the last unconquered 4,000 meter peak in the Alps. There were seven mountaineers, four of whom fell to their deaths during the descent after their climbing rope broke. The survivors were the British Edward Whymper, and two Zermatt mountain guides, Peter Taugwalder and his son who happened to be Peter as well. There is a whole mystery attached to the tragedy. 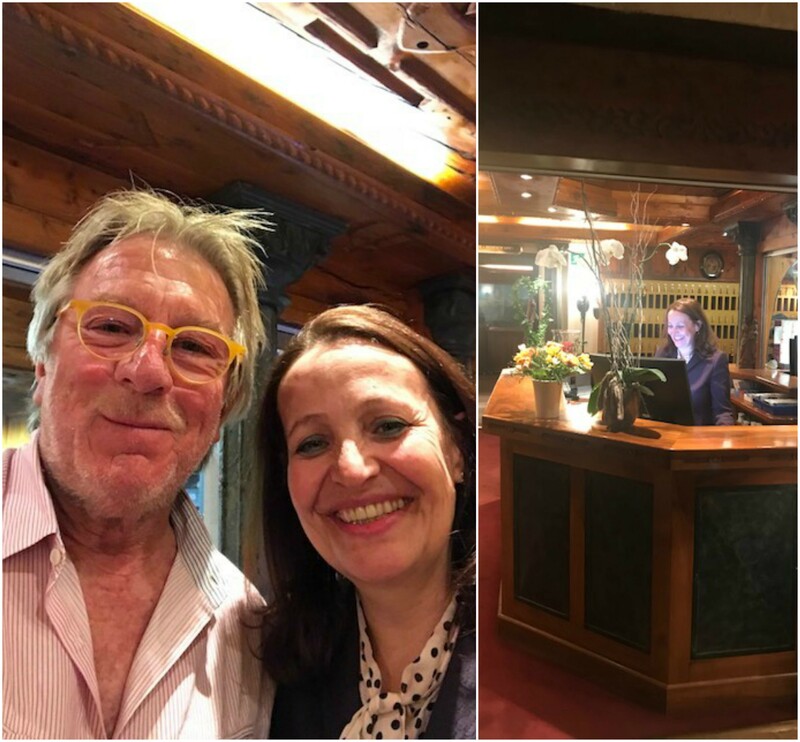 Depending on whether you are British or from Zermatt, you will likely get different versions from different sides. There is even a movie that recreates this climb which was shot in 1937 and includes scenes from “the deadly fall” following the first ascent. In the museum, the snapped rope is right there and some of the effects of the climbers that perished are in preserved cases. There are also Neolithic age things and a whole bunch of black and white photographs of the early mountaineers. The exhibition that was on was all about who caused the fall. Was it the dastardly English guy who came down to claim that he was the first to conquer the Matterhorn? Or the guides who may or may not have cut the rope to save themselves? The intrigue is brewing everywhere. To this day, it is the main talking point of the museum. 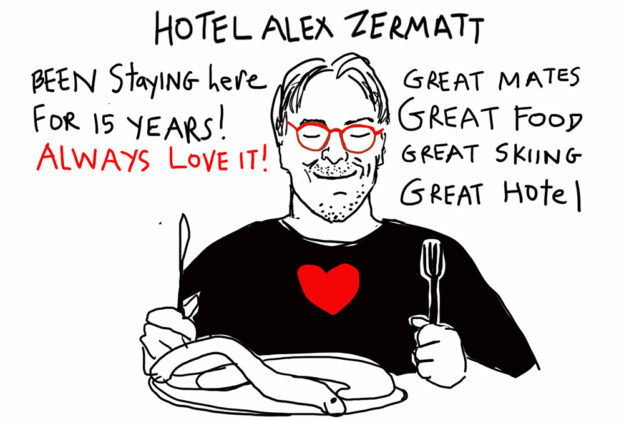 If you ask anybody who has lived in Zermatt for a number of years, they all have their own version. What is absolutely amazing is that the climbers seemed to wear suits, hats, and mostly looked like they were heading out to dinner, not climbing the most difficult precipice in Europe! Everyone carried a sling of ropes around them but beyond that it was all pretty much down to the knowledge of the mountain. The fact that these guys even made it to the top in those outfits is testament to their skills, their endurance, and frankly their craziness. The museum is worth a visit if only so you can write a column like this. It is a perfect “who done it” and really very interesting. This entry was posted in Blog and tagged Europe, Jungfrau, Matterhorn, Peter Jones, Pietro Place, Switzerland, Travel Blog, Traveller, Zermott on March 19, 2016 by Meghan Pope. 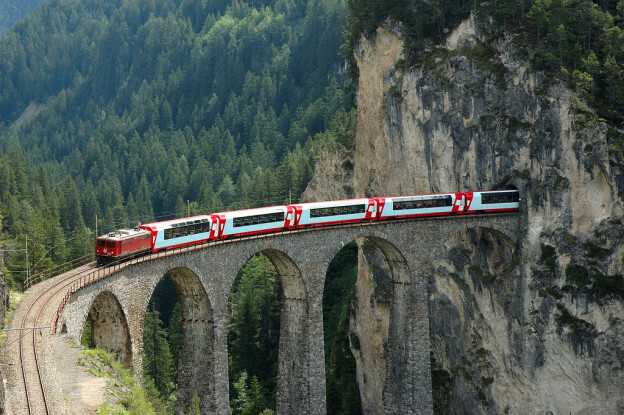 Switzerland offers a remarkable way to sightsee your day through the beautiful terrain: the Glacier Express. No car needed. Just a slow moving, winding train that is Switzerland’s greatest ad for Narnia. 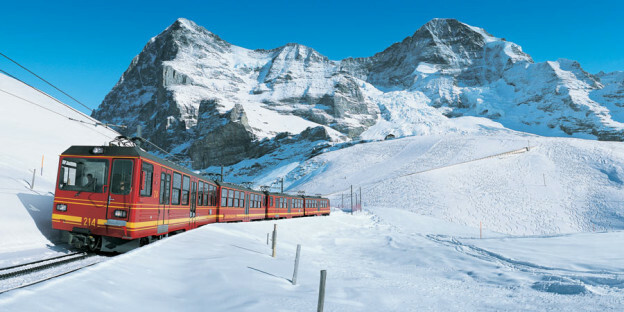 The Glacier Express is a regular scheduled year-round train service between Zermatt at the foot of the Matterhorn and St. Moritz in the Engadin skiing area. No idea why it’s called an express since it is slow. Built on a narrow gauge train, it takes over seven hours to cover just over 290 km (180 miles), at an average of around 24 mph. However, it’s very civilized inside and you can get a decent lunch on board in the restaurant cars. The views are breathtaking, blizzards and all, and it also offers the unique experience of climbing to 2033 meters up the incredible Oberalp Pass, the highest point on the line. It truly looks like Narnia along the way. At the end the train magically winds its way to the chic resort of St Moritz. All in a day’s work! Prices are not that bad for Switzerland. Below are the rack rates. the basic fare or railpass) 33 CHF (€33) in summer. 13 CHF (€13) in winter. Cost of lunch (optional): 30 CHF (€30) for Plate of the Day. 43 CHF (€43) for 3-course lunch. Children under 6 go free; children aged 6 to 16 pay half fare but must pay the adult supplement. The Glacier Express is run jointly by two private Swiss railways, the Matterhorn Gotthard Bahn (MGB) and the Rhätische Bahn (RhB), which also operate the regular hourly local trains over the same route. There is one daily Glacier Expresses in each direction in winter, but up to three daily Glacier Expresses in the summer. It is a great experience and I highly recommend it. 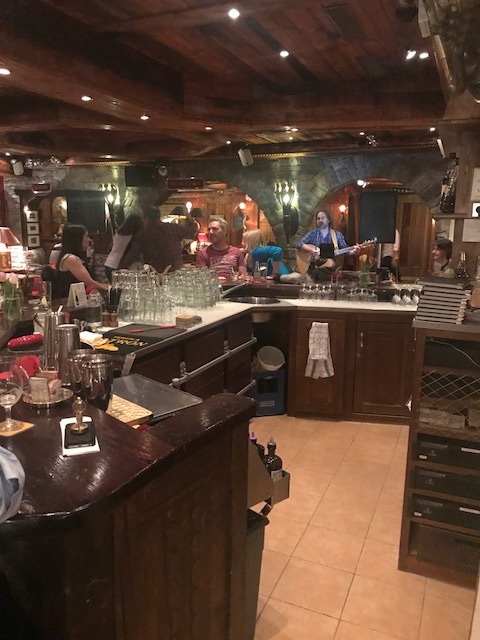 This entry was posted in Blog and tagged Alps, Europe, Glacier Express, Peter Jones, Pietro Place, Sightseeing, Switzerland, Train, Travel, Travel Blog, Traveller on March 17, 2016 by Meghan Pope. Let’s face it – it’s a strange place. Encircled by beautiful mountains, Switzerland is famous for its scenery, cheese, watches, chocolate, skiing, drugs, and corruption…oops, I mean banking. A small bottle of water costs $5, a sandwich is $15-$20, and they think that they are doing you a favor! It has a slightly dubious history. In World War II they pretended to be neutral but it was really a friendly outpost of Nazi Germany. Up until two years ago, most people kept a private bank account in Switzerland that was not traceable in any other country. It was thus a tax haven for the rich. It is the home and headquarters of football (soccer), the Olympics, and the Red Cross. It is also where Charlie Chaplin chose to live the remainder of his life after being kicked out of the USA for being a communist sympathizer. The Great Dictator! One of the most brilliant anti-fascist movies of all time. So, why do I keep coming back to Switzerland? It is because I like the efficiency of the place. There are trains that climb up mountains on cogs, trains that you can put your car on to that hurtle you through insurmountable mountains and save you hours of driving, and toilets that are very clean compared to most of their neighbors. But most of all it is such a damn beautiful place with famous mountains jutting up above the clouds like the Matterhorn and the Eiger. It is just so stunning. Driving through the tunnels that have been beautifully carved in the mountains, I am aware that Swiss tunnels are the cleanest tunnels in all of the world, like they have a team of cleaners coming in at night to spick and span the walls. Not a wink of graffiti and the streets are clean. So I guess that I have a bizarre love affair with the place. 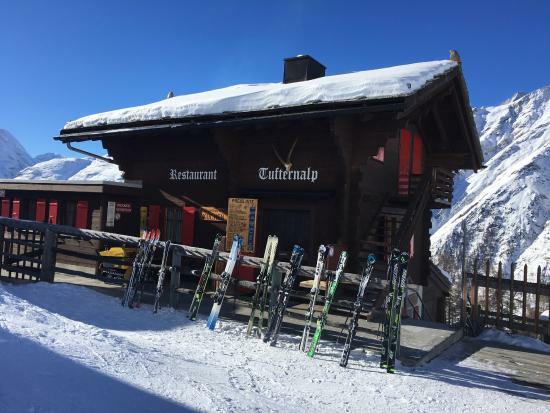 When I ski between Italy and Switzerland, I confess to loving the rösti, the raclette, and the fondue (really good for the cholesterol) a little more than the pasta. Yikes – what I am I saying?! Every year I ski in Switzerland. I love the comfort of the place, the width of the slopes, the guaranteed snow, and I guess the Swiss are not that bad after all! This entry was posted in Blog and tagged Europe, History, People, Peter Jones, Pietro Place, Politics, Switzerland, Travel, Travel Blog, Traveller, Zurich on March 16, 2016 by Meghan Pope. It was the best of times, it was the worst of times. A journey across the Alps often began in medieval times at the ancient crossroads of the Castle of Chillon; beautifully situated on the Northern Shores of Lake Leman, it is a stunning sight engulfed by snowcapped mountains. This fortress was rarely breached, and inside the fort to this day, there are fantastic remnants of original furnishings, art work and tapestries. The most interesting thing of all, are the ancient latrines – jutting out over the lake, some forty feet higher than the lake itself, the auto flush was better than your state-of-the-art septic system. Interestingly enough, the latrines were considered a vulnerable aspect of the fortress. When attack was imminent, considerations had to be made to deter the onslaught, all sorts of nasty organic weapons could be used. Biological warfare! Probably everyone in the castle was force fed prunes before the attack. In other words, if someone wasn’t sitting on the latrine at all times, the fort was vulnerable and the kingdom could be breached! Fast forward to modern day: the Swiss have gotten a heck of a lot better with their state-of-the-art latrines, but over on the Italian side of the Alps, things look pretty much the same as they did in the 13th Century in the Chateau de Chillon. 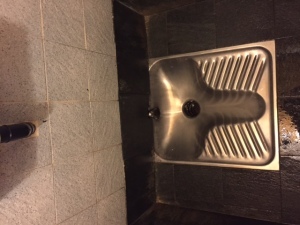 All apparently in the name of hygiene, at least that’s what my Italian friend told me. Yeah right! I’ll take my chances. 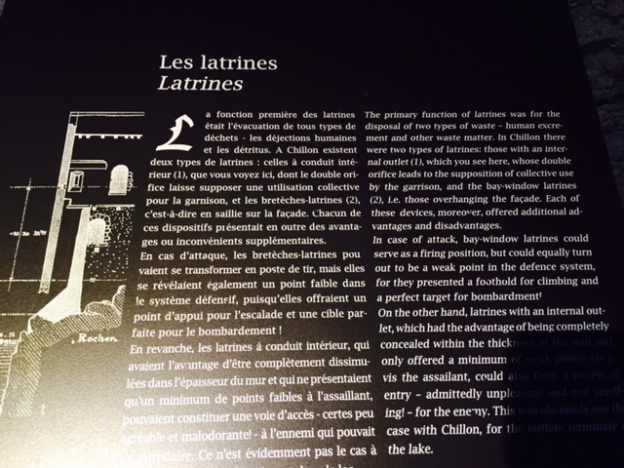 This entry was posted in Blog, Travel and tagged Ancient Latarines, Castle of Chillon, Chateau de chillon, Peter Jones, Pietro Place, Switzerland, Swss latrines on March 31, 2015 by admin. Nothing is open and because it’s the law, shops can’t open either. My first thought is that it’s because the shops took all my money between Monday through Friday. When you charge $15 for a cappuccino why bother opening on a Saturday or a Sunday? In fact, the prices in Switzerland seem to be calculated on fewer sales’ days per year. At first one resists the urge to slow down because It seems so unnatural, and life screeches to an abrupt halt on a weekly basis. But perhaps it is this forced relaxation that keeps the Swiss culture so balanced. 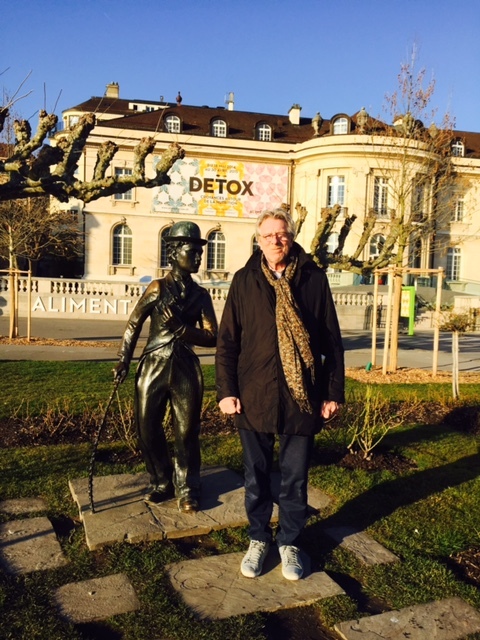 So on a Sunday you go for walks if the weather is nice; you watch dreadful TV, take photos with Charlie Chaplin (with detox in the background) purely coincidental, or go skiing again. The resorts and other tourist points of interest, of course, are exempt from this law. Walking around Lausanne looking for somewhere to grab a bite, grab a beer or grab a cab even, is a mission improbable. Let that one go, yah, it’s nice to go from Evian to Lausanne on a boat, but even the boat doesn’t provide too much in the way of refreshments on a Sunday. Overall it reminded me of Britain in the 1950s. Governed as we were at the time, by laws created by the Lord’s Day Observance Society, we were forbidden from having fun, from buying anything. Our television programs were centered around songs of praise and TV would end at 11:00pm on the dot. I used to simply loathe Sundays. 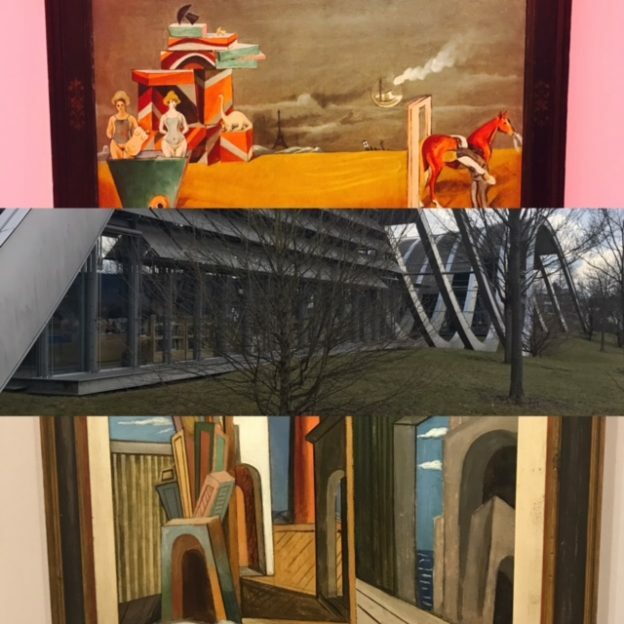 My Sunday in Lausanne took me back to the glory days of the 50s, but was saved by a visit to the fabulous Hermitage and the Olympic Museum. Crowded by tourists and Lausannians, looking for something to do on a Sunday, other than ski. 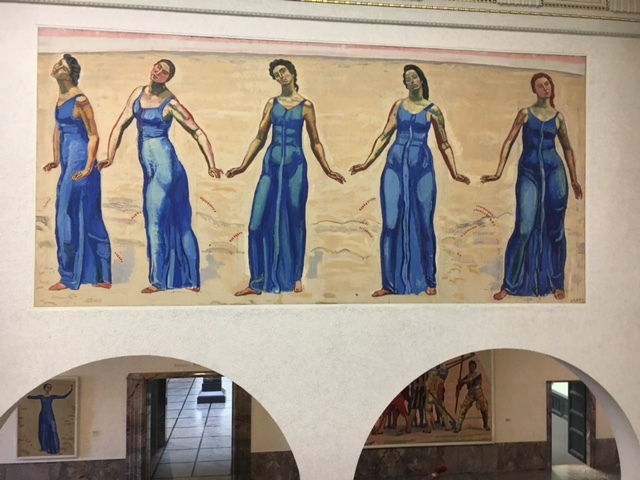 This entry was posted in Blog, Travel and tagged hermitage, olympic museum, Peter Jones, Pietro Place, Switzerland, switzerland on sunday, Travel Blog on March 27, 2015 by admin.